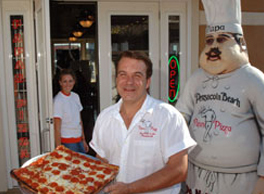 Papa's Pizza specializes in a Famous New York Style Pizzas as well as many other traditional Italian favorites. Pizzas are made fresh with a recipe which it's orgin dates about almost 1000 years! 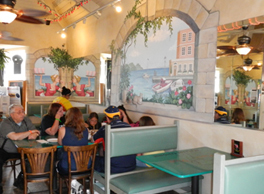 With each member in the family the recipes at Papa's Pizza each have their own personality added to them making each a great dining experience. 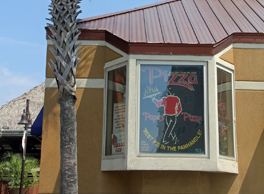 Papa's Pizza has many locations in Northwest Florida and Alabama to serve you. And, if you like what you see, we have licensing opportunities open in many cities and states. So, please be sure to call or write us with your interests. 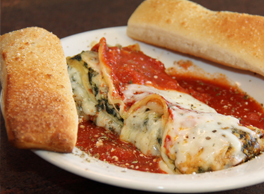 Since 1947 we have used the same methods and formats, as well as the finest Italian Cheese, money can buy. We grate our own cheese daily & make our own dough and sauce daily too. 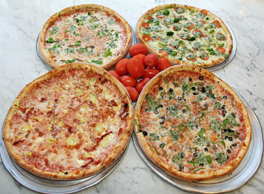 We set ourself aside from any other pizzeria. 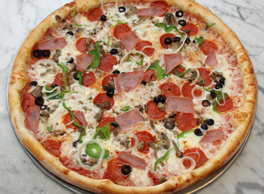 Now YOU decide why we set ourselves aside from any other pizzeria. We offer a two bite money back guarantee. If you take two bites and you don't like it, you don't have to pay for it. We are on the Portofino boardwalk!